Blepharoplasty is usually performed through external incisions made along the natural skin lines of the eyelids, such as the creases of the upper lids and below the lashes of the lower lids. Incisions might be made from the inside surface of the lower eyelid (transconjunctival blepharoplasty); this allows removal of lower eyelid fat without an externally-visible scar, but does not allow excess skin to be removed. External skin resurfacing with a chemical peel or carbon dioxide laser might be performed simultaneously. This allows for a faster recovery process. Skin Excision: The initially incision is at the eyelid crease and cuts through the skin and orbicularis oculi muscle but avoiding the levator muscle just below the skin. 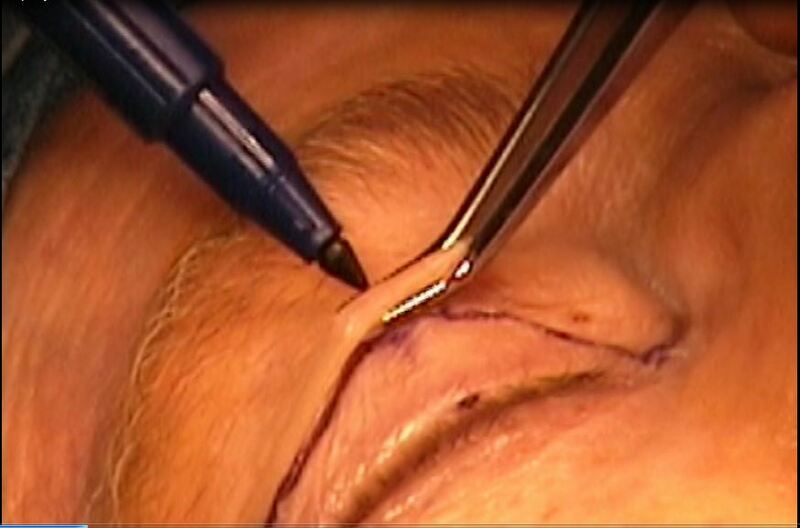 The second incision is along the curvilinear superior aspect where deep incision is possible. The third incision is the lateral extent of the eyelid, from the lateral canthus towards the lateral eyebrow. The effects of blepharoplasty are consolidated over a few months and might last for several years, and for some lucky patients, they might even last for a lifetime.